Podcast interview with B2B Growth Show produced by Sweet Fish Media. 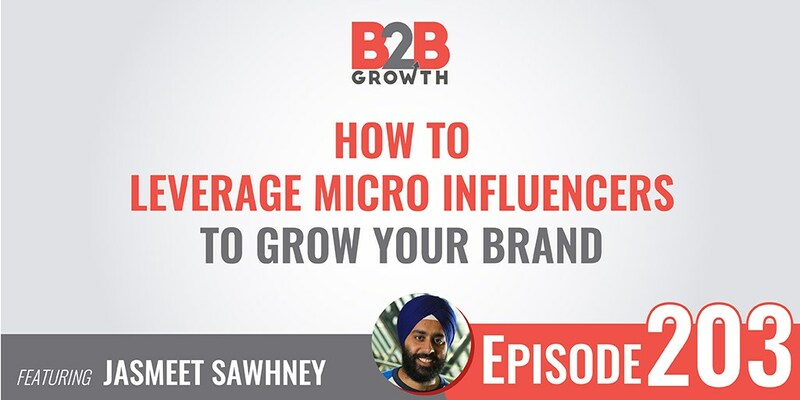 It is around micro-influencers, and how B2B businesses can leverage micro-influencers as they start to build their influencer marketing programs. Also available on iTunes.. In this episode we talk to Jasmeet Sawhney, Managing Principal and CMO at YibLab. via Sweet Fish Media | Podcast Production for B2B Companies.